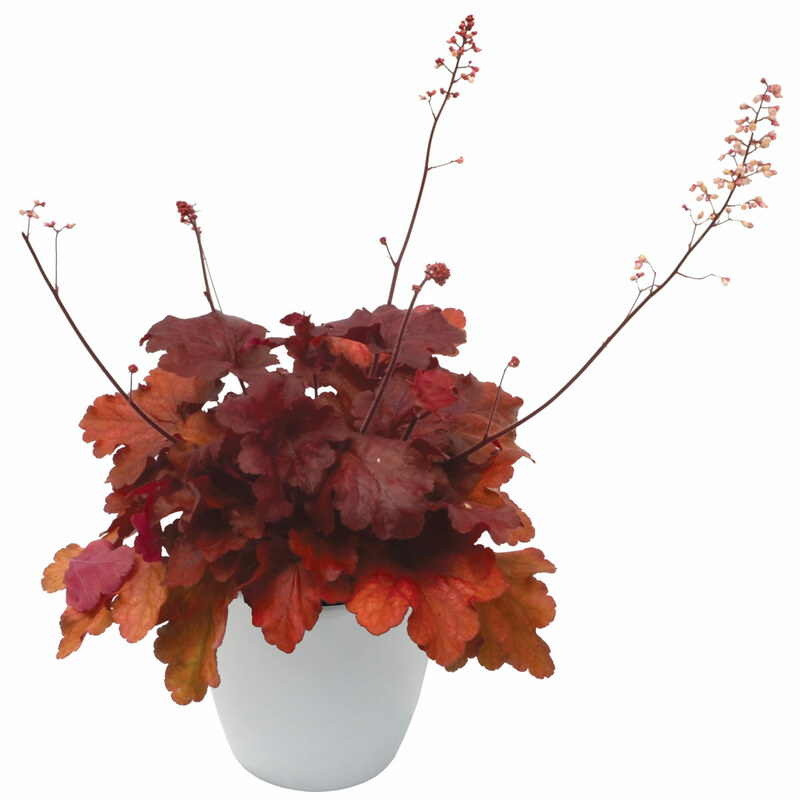 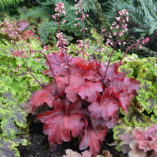 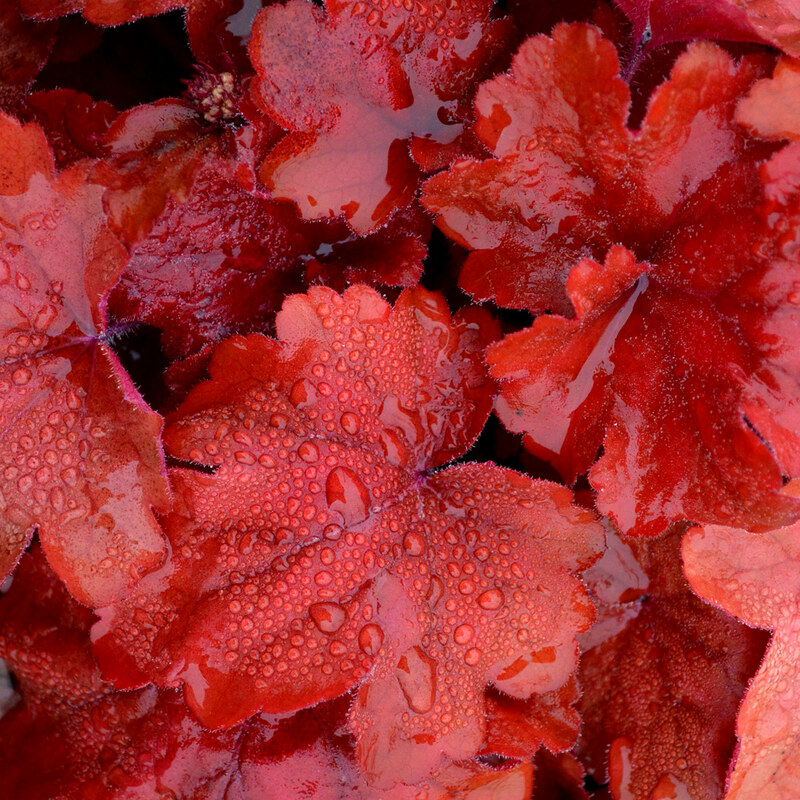 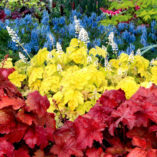 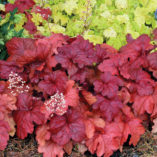 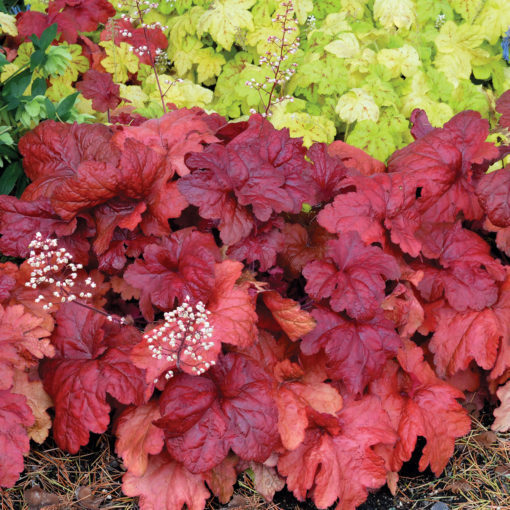 Heuchera ‘Fire Alarm’ | TERRA NOVA® Nurseries, Inc. 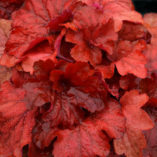 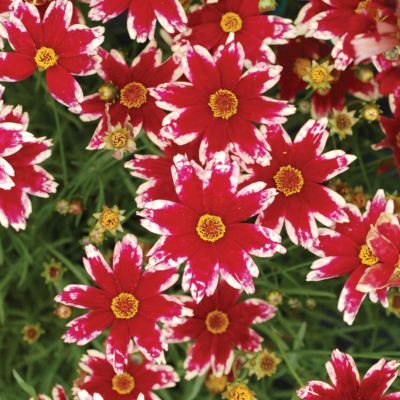 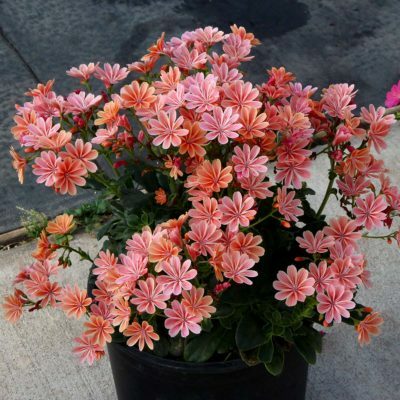 Bigger and brighter than 'Fire Chief' or 'Autumn Leaves', 'Fire Alarm' is bright red in spring and fall and darkens to a brown-red during the summer. 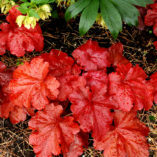 This hybrid of H. villosa has thick, leathery red, red leaves that make delightful medium size mound. 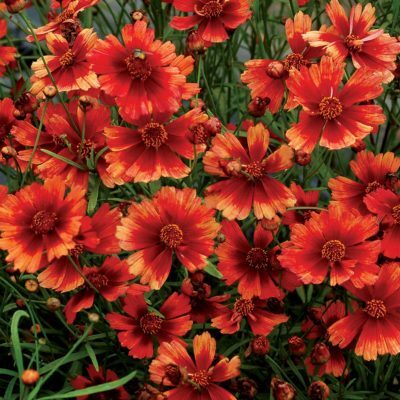 'Fire Alarm' complements almost every section of the color palette, but it can stand on its own without question. Won the Silver metal at Plantarium 2014 and best Heuchera in the Shade in Ohio State trials, 2012. 9" / 14" / 13"
The reddest foliage of any Heuchera! Large glossy leaves shine red all spring through fall. Bigger plant than 'Fire Chief'. Glossier, redder, and more vigorous than 'Autumn Leaves'. 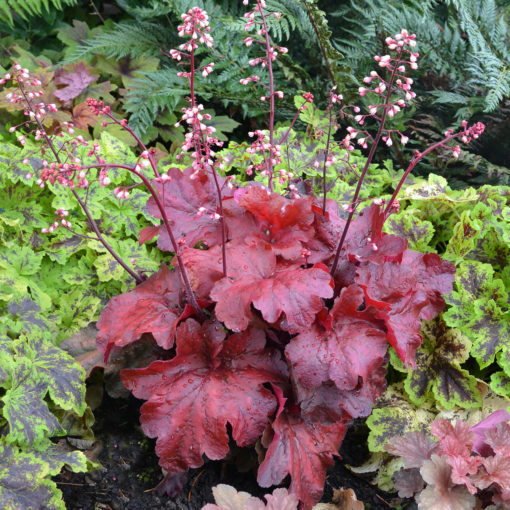 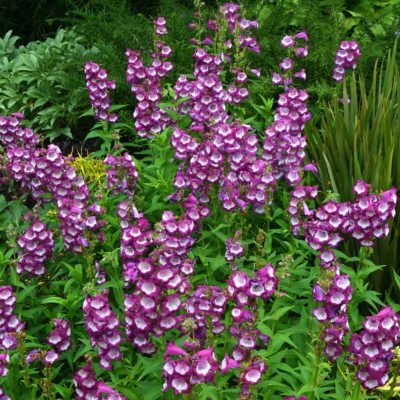 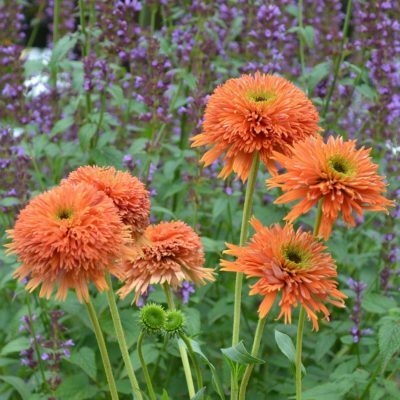 Accent, container, shade mass planting, mixed beds, winter color.